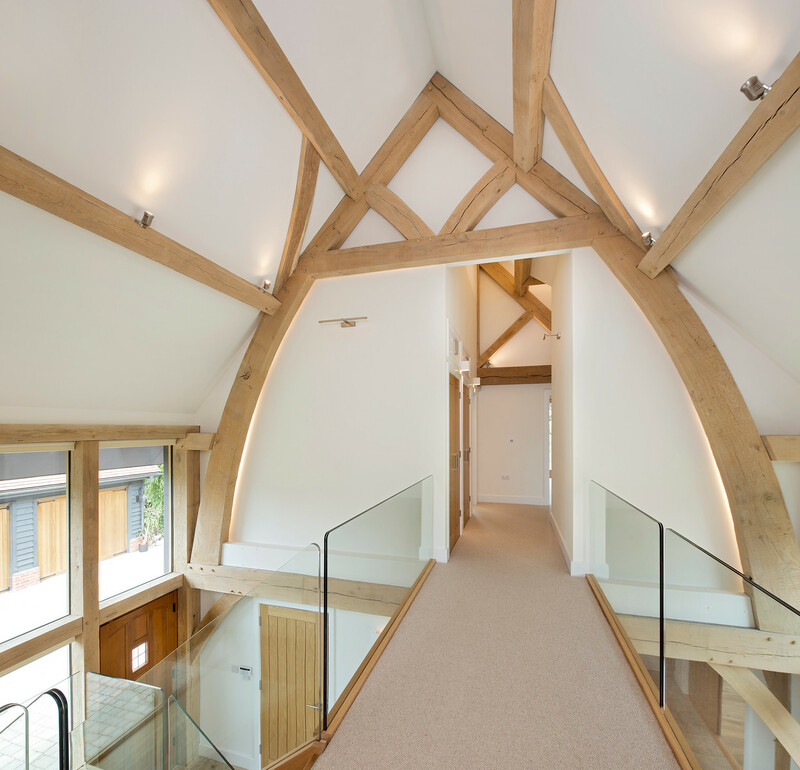 Designed to match both the classical timber beams spread throughout the property as well as the homes modern aesthetic, this staircase is utilised to bridge the gap not just between the floors, but between the generations that this period barn conversion has thrived in. 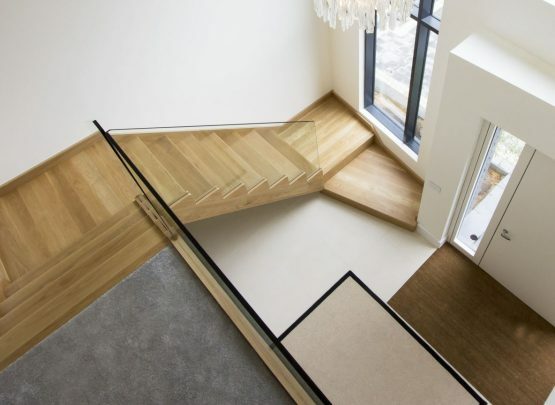 Due to this staircase being positioned next to a section of floor to ceiling windows, the design utilized glass balustrade in order to not block the light entering the property. 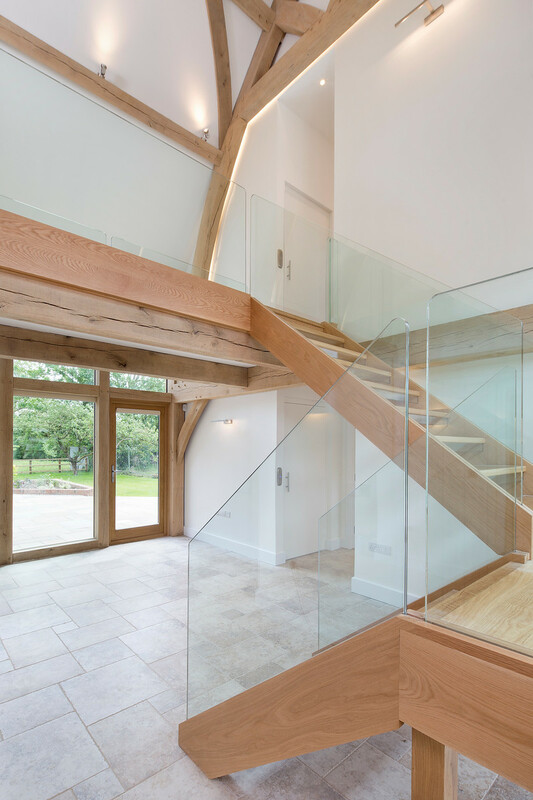 The client required a frameless glass balustrade as to achieve a seamless transition from the light on the outside entering the property and easy to keep the design as minimal as possible. 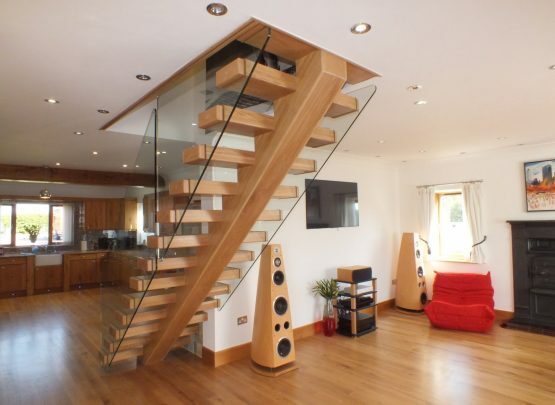 The client opted for an open plan design. 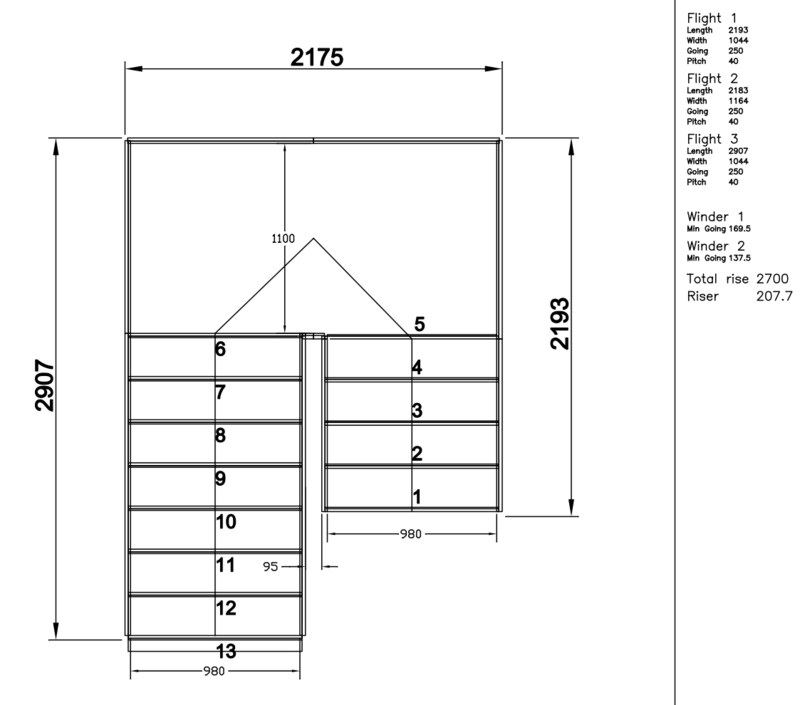 With the staircase returning into the living space, this design makes for a less imposing feature and instead gives a seamless transition between the staircase and the hallway. 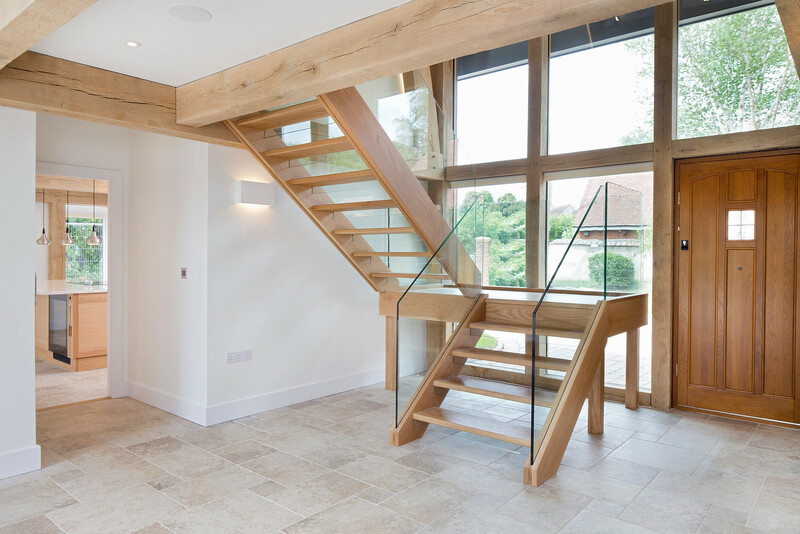 The steps are topped off via glass stub risers, which allows a staircase to still comply to building regulations but allows for the optimum amount of light. 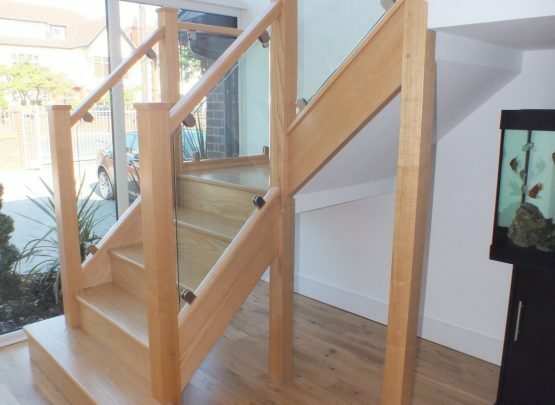 The staircase has been finished off with a slight stain as to bring it perfectly in line with the beams spread throughout the house, this gives a uniformity to all of the timber elements of the home.